This fantastic lady really does it al. She's a full-time college student. An advocate for women empowerment and diversity. And in August 2017, she became the first biracial, African American and East Indian to be crowned Miss India America. India LaRoda is thriving in every way- and she's just getting started. After we've immersed ourselves with holiday baked goods, grandma's famous honey baked ham and endless cocktails and cheese platters from numerous celebration parties, there is no better time than now to start thinking about your fitness goals for the new year. We've got seven effective and practical ways to get you moving and motivated to a healthier and stronger you. 5...4...3...2...1...Happy New Year! Yup, it's that time of year when we're full of desires, excitement and ready to take on the world. And what's the one thing that we all do? We sit and compile a laundry list of resolutions for the New Year knowing that most of them will be broken before January 31st. Have you ever noticed how crowded the gym and Whole Foods markets are during the first few weeks of the year, but then the army of people start to thin out? Creating unrealistic expectations of yourself is not the way to start the New Year. To keep clear of disappointments at the end of 2017, here's a list of the top 4 resolutions you should avoid making. Whether it's pink, red, white, sparkling, dry or fruity, every woman has her preference in a nice bottle of wine. There are so many alternatives and variations to choose from and each wine is as extraordinary as the lady that chose it. 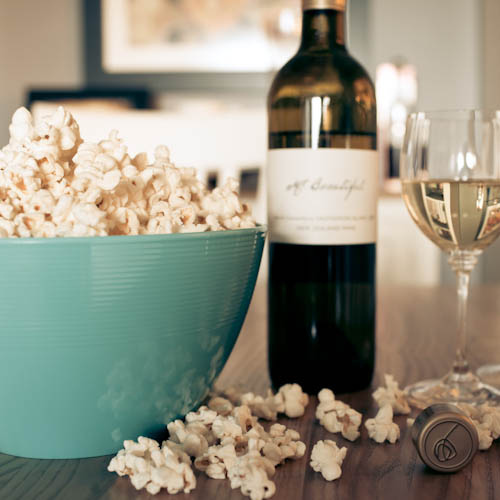 Have you found the prefect wine that fits your taste buds? Well, today, you'll discover what your wine choice says about you and your personality. Whether you're a connoisseur of Chardonnay, Riesling or Merlot, your wine selection is inspired by your personality. And if you're a lover of more than one type- hey, sip happens!